North American players started forgetting about the PlayStation 2 somewhere around the end of 2007. The PS3 had been out for a year by that point and Sony—and independent third-party game publishers—were focusing all of their marketing efforts on the new platform. 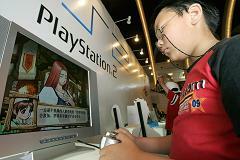 But in developing and emerging markets, the PS2 was all the rage. In fact, that rage only recently died down: with production costs on the console having become negligible, Sony kept selling the system through January of this year, when it finally halted production.